Oliver Hume Property Funds, with the help of a small team of prominent Australian designers, has created 'Parkville', an exclusive series of luxury homes designed to recreate the classic Victorian period home concept for modern living. Parkville is an enclave of 20 exquisitely designed homes with a richness of detail that aims to enhance quality of life. 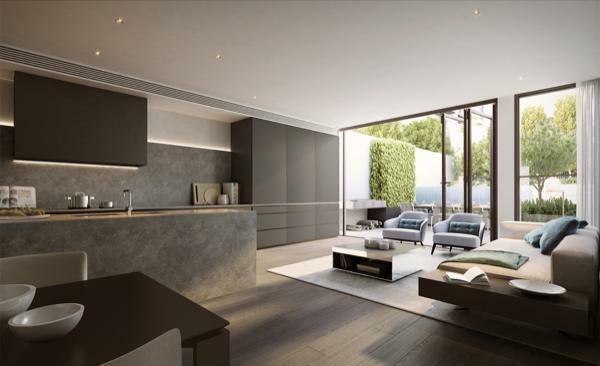 On a site with double frontage across Royal Parade and The Avenue, and with a third boundary overlooking the Capital City Trail, each privately accessed home spans across five levels, including a private rooftop terrace, and are located on their own title. A number also have their own in-ground swimming pool. Oliver Hume approached DKO Architecture, Carr Design Group and Jack Merlo to assist in the creation of Parkville's unique interpretation of the Victorian period home, with the intention of producing a timeless design that will remain as appealing in 100 years as it would be today. 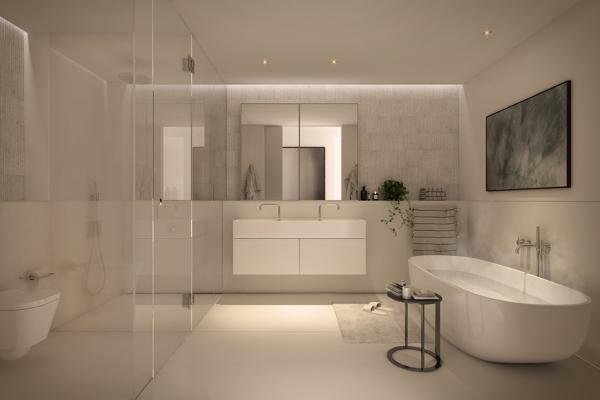 "We've used modern ideas drawing inspiration from abroad to create timeless luxurious homes," Oliver Hume development Director Jason Wood said. “These period homes contain important lessons for the design of contemporary neighbourhoods," Carr Design Group Director Sue Carr said. "With their wonderful proportions, emphasis on vertical living, connection to landscape and close proximity to the city, they are a compact and sustainable urban housing model for the future. “With Parkville by Oliver Hume, we wanted to incorporate some of the traditional ideas of the classic Victorian period home, refine them and offer a design that provides a contemporary way of living. “All of these homes are made up of a series of spaces designed with a specific function in mind. All have large proportions, grander than many other modern housing models,” she said. Parkville homes also act as private retreats, with green open spaces that are ideal for relaxation and entertaining. 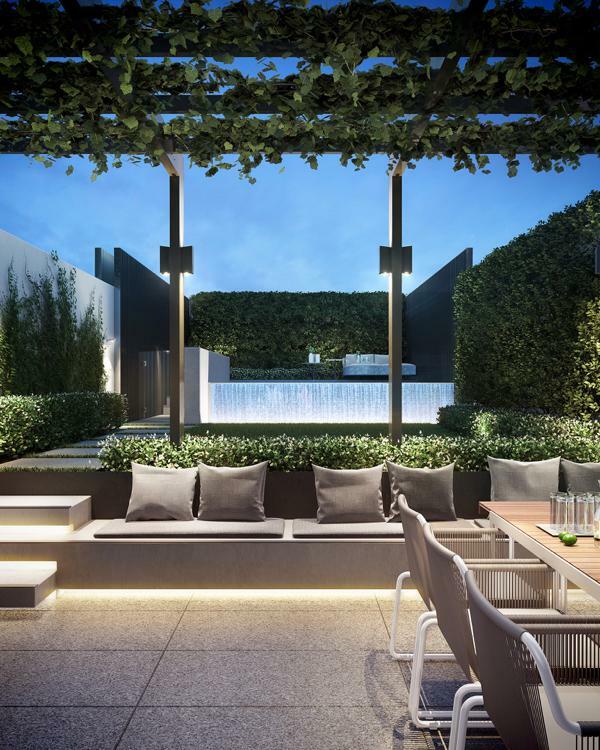 Sight-lines from the living area enforce a continuation of the space to an outdoor urban oasis, where an ornamental pergola entwined with climbing vines creates a natural leafy ceiling for both day and night. Select homes feature a swimming pool with an integrated day bed, lounge area and barbecue, each set in gardens designed to be both beautiful and functional. 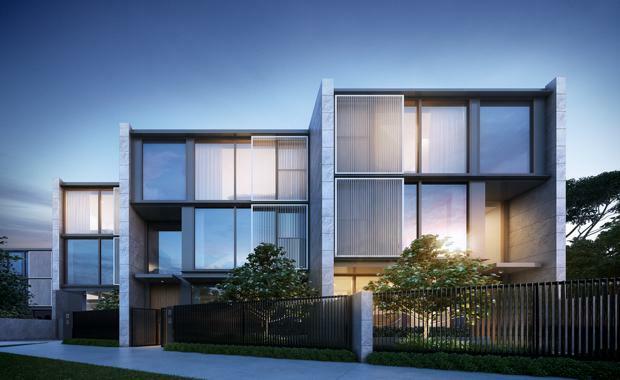 Oliver Hume incorporated into Parkville four Royal Parade residences, featuring three bedrooms, four sitting rooms, five bathrooms and its own private garage for two to four cars. One home also includes an in-ground swimming pool. These homes feature a sun-drenched lower-level living zone accessible from descending street level stairs with a wine cellar and study, perfect for working from home. Generously proportioned, every home has a large living area on the ground floor, as well as a second living space inside the master retreat, an entire floor dedicated exclusively to master level living. The larger homes have multiple studies split between levels. All bedrooms feature ensuites and are complemented by an additional retreat area. Imagined as the heart of the home, kitchens are located on the ground floor. The main kitchen is equipped with appliances from leading French premium kitchen designer, De Dietrich. 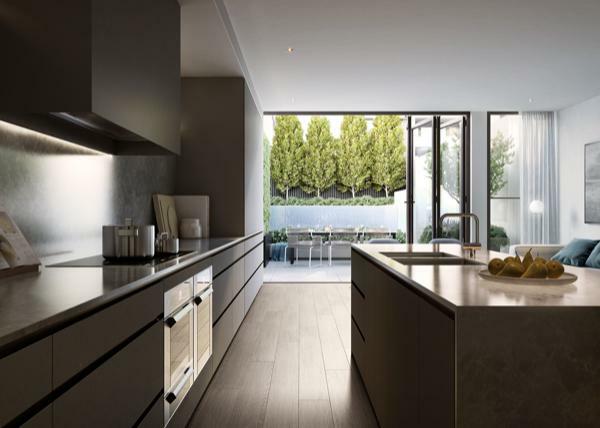 The design culminates in private rooftops, which provide a generous separate living space, affording views over leafy Princes Park as well as to southern and western aspects. Jack Merlo has had a hand here, creating screening between rooftops and additional greenery. Construction will commence in March 2017 and completion by July 2018.